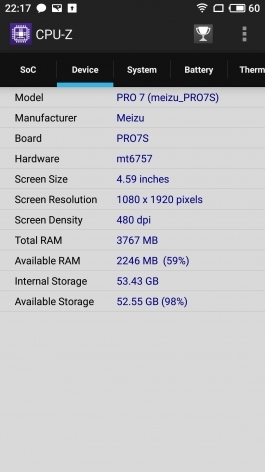 Review of the smartphone Meizu Pro 7/Pro 7 Plus: who said “Yota phone”? Imagine flagship smartphone in 2017 easy: 835 Qualcomm Snapdragon, Quad HD display with the most probable aspect ratio of 2:1, dual camera, lots of glass and less metal. Slight variations like a processor of its own production (Samsung and Huawei) and “conventional” display formats (Nokia, Xiaomi, Sony, Huawei the same). But to release something really strong characters from this series – almost no one has the courage (and desire, of course). “Almost” because there’s Meizu, which has traditionally not got on the case with Qualcomm you have to buy the platform from Mediatek or Samsung, and suddenly woke up the fantasy, and inspired by the iPhone instead of another smartphone with some nuances we got machines with two screens! The second display is not located on the front panel as LG V10/V20, and behind, in the manner of the unforgettable Yotaphone. One particular time 7 Pro/7 Pro Plus is a significant difference devices. Not only in terms of display, but in terms of toppings. 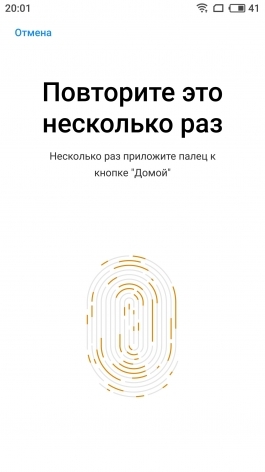 The overall concept is identical: two AMOLED display, exactly the same dual cameras, the only navigation button with fingerprint scanner on the front (brand name) and uniform design. 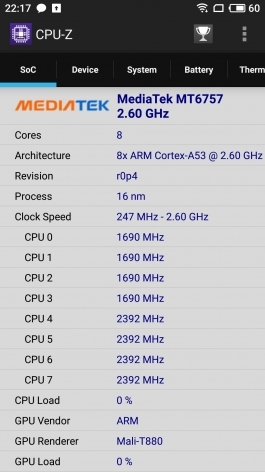 However, different platform: Mediatek P25 Pro 7 and flagship Mediatek X30 Pro 7 Plus. I tested both devices, but with more emphasis on more compact and inexpensive Pro 7, which, in my opinion, more likely to gain an audience. The assertion that the smartphone Meizu has gained some kind of your signature style, it would be too bold, and elementary wrong. But who today, he is so wholly recognizable? Sony, Samsung… that’s it. Even with a relatively faceless Apple iPhone 6/7/8 and sharply distinguished X in this respect will not put in the example. But to speak about a reproduction, as many are accustomed, when talking about the Chinese machines makes no sense. Meizu Pro 7 (I won’t mention version of talking just about two smartphones) with a typical hull form, a small frame around the screen is a standard format and plastic panels on a metal back cover not much stands out. But the screen on the back, of course, changes the situation. It is directly under the twin-lens unit of the main camera, on the left side of the smartphone and, paradoxically, helps the gadget and ergonomic in the sense that the glass provides extra grip with the rear surface, to hold the Pro 7 is more comfortable than the devices with metal housing. Front panel covered with glass – and, unlike Pro 6 Plus, with excellent oleophobic coating: with “perverted by alien influences” Pro 7 you will not have to go, rubbed the fingerprints very easily. The dimensions of all obvious enough: 5.2-inch Pro 7 is perfect for one-handed operation, 5.7-inch Pro 7 Plus much more bulky thing, as of records “bezremontnoy” both smartphones do not put. Nevertheless, it is really thin gadgets (7.3 mm), placed in the pocket without any problems. They also weigh within the normal range – 163 and 170 grams, respectively size. Managing smartphones Meizu – the eternal theme for any material about the devices of this brand. The fact that the keys return and opening all current apps here – no touch on the case, or virtual on the screen. For the return and lock responds to a single button “Home”, which in addition integrated a fingerprint scanner, and the list of open apps with a gesture upward on the screen. Meizu had previously accepted blame for such a creative approach to the creation of Android smartphones. The irony is that the company in this way there are followers – for example, Motorola. Anyway, to get used to this manner of management is not difficult – it takes me about two or three days, and then return to the standard scheme is already causing some difficulties. Otherwise, the usual mechanical button and volume controls on the right side, the latter can be used as a shutter button of the camera. The second screen is not involved in management – he has his own, specific functions. First, it displays a variety of information: the number taken during the day, the weather, the time. Second, here “fly” notifications about calls, messages, and displays the status (charging, playing music). Thirdly — and this is the most exciting application of additional display – it can be used as a viewfinder for the camera, thereby making a selfie on the main, not on the front module. Why in such conditions here are generally installed front facing camera (and quite impressive), I honestly don’t understand. Activate the screen by double tapping. On test smartphones, however, were installed pre-production firmware and the display was intermittent. But without these interruptions it is obvious that, despite the energy savings, the scheme with duplicate notifications on the second screen is no superior technology Always-On Display that have the most competitors. But the self-timer, the main camera is a really interesting option. 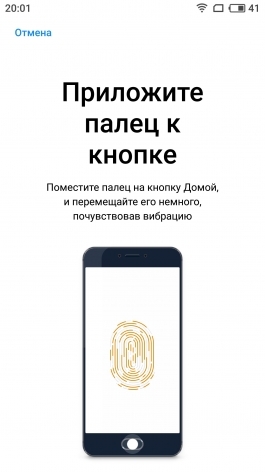 The fingerprint scanner built into the “Home” button, is typical of a modern smartphone, capacitive. It works very fast, and claims to its accuracy, I did not have. It turned out that the welder was on my test for almost a month, and during that time I imprint is not copied even once. 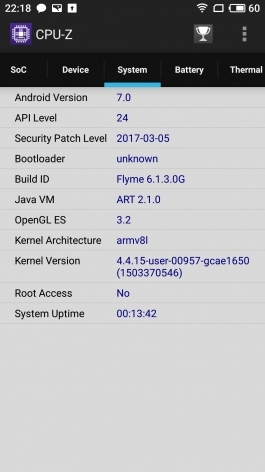 Works Meizu Pro 7 running Android 7.0 Nougat with sheath Flyme sixth version. Fundamental differences from Flyme 5 there is quick, devoid of the application menu and not having fun with the icons shell. Questions likely to be flashed: I hope that the final version will still appear on Google – in test Pro 7 and Pro 7 Plus had to install Google Play manually. There were also many claims to the stability and the performance of individual applications. To assess this area (the most important, I admit) of the smartphone I simply can’t. 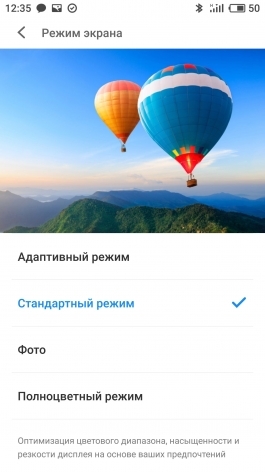 But we can say that the announced technology of OneMind, which should optimize the performance of the phone, promptly ejecting from the memory of unused processes and not touching is important to the user, it works successfully. The smartphone has regularly released several gigabytes of memory in the background. Meizu wants to issue a medal “for loyalty AMOLED” — the company used the displays for organic light emitting diode even when it was not fashionable (so at that time did except that even Samsung), but now, with the release of iPhone X, the situation will certainly change. Anyway, in Pro 7, and Pro 7 installed Plus AMOLED screens differ in resolution and diagonal: 5.2 inch and 1920 × 1080 pixels (423 ppi) in the previous version; 5.7 inches and 2560 × 1440 pixels (518 ppi) high. On Plus the screen is moved straight from Pro 6 Plus – it was exactly the same characteristics. But this time, finally, everything is in order and with the settings, not only by the matrices. Both screens are extremely wide viewing angles – with extreme deviation of the eyes away from the perpendicular contrast, almost did not fall, and the colors are distorted slightly. Polarizing layer to place a layer between the matrix and the glass is missing – this, together with conditionally infinite contrast screen allows you to use the smartphone on the street without the slightest discomfort. The brightness level of the panels of the smartphones is not very high. Pro 7 is 328 CD/m2. Still looking at full-color pictures under the midday sun it is not necessary – the picture is noticeably faded, though remains legible. But Pro 7 Plus even this is not a problem – the maximum luminance of a white field of 426 CD/m2. Indicator, well known by the already mentioned Pro 6 Plus. 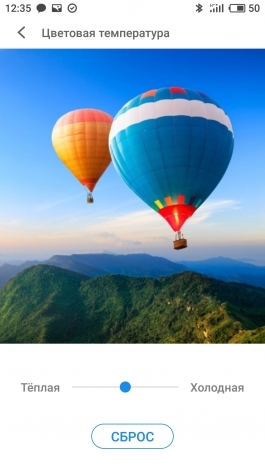 Color reproduction is highly dependent on the exposed settings – how to adjust the color temperature and to set color profile: in addition to the standard, there exists the adaptive profile when the smartphone will try to adapt the type of image and the “photo” and “full color” – with an expanded color range. I tested the screen Pro 7 only with the standard profile – and the results, frankly, impressed me. And fit into the framework of norms, relatively flat gamma of 2.15. And not too high color temperature – the schedule varies between 7 000 and 7 500 K. And almost perfectly matches the sRGB color gamut: the average deviation of DeltaE ColorChecker on a scale that takes into account and grayscale, and wide color scale was 3.18. The indicator is very close to the norm for a smartphone is a great level. Pro 7 Plus in the standard mode, the situation is even better: gamma of 2.23, the color temperature of shades of gray just above – varies consistently in the region of 7 500 K, but the accuracy on the height is the average deviation of DeltaE ColorChecker on a scale made of 2.62, and it fits within the rules. Color honest. But if you enable any of the “advanced” modes of reproduction, the situation is changing – the color gamut becomes much wider (with a claim to cover the standard DCI-P3), and the colors become toxic and overly saturated. The average deviation of DeltaE scale ColorChecker logical way reaches already values of 5.89. But the screen in this mode gives more brightness – and not on a white color, and yellow. — 469 CD/m2. Fans of “acid” colors need to taste. An additional display for both versions of the same Pro 7: AMOLED with a diagonal of 1.9 inches and a resolution of 240 × 536 pixels (pixel density of 307 ppi). Meizu traditionally does not forget about lovers of quality sound devices installed DAC Cirrus Logic CS43130 together with chip, SMART PA. Sounds “professional” — in fact this does not gives audiophile-quality sound, but many of its competitors Pro 7 wins in terms of detail, richness and power of sound . Subjectively, I can’t recommend this smartphone as a definite choice for music lovers, but the face he does not hit, that’s for sure. Built-in speaker monaural, located to the right of the USB Type-C. Nothing special in terms of volume and sound quality it offers, in a noisy environment or transport it is possible to miss a call. Earpiece and the MIC normal – the slightest problem in communication for quite a long time of testing I have not experienced.